Inspiration for unique artworks can be found all around us. So, why not reach for a black-and-white photo and turn it into a large-scale piece of modern art? In this workshop, you will explore the beauty of photos as they capture lines, shapes, and shadows, and use these photos as inspiration for an abstract watercolor painting on canvas. You will learn about tonal differences and composition in photography and learn how to apply them to your art piece to create a sense of movement and space. 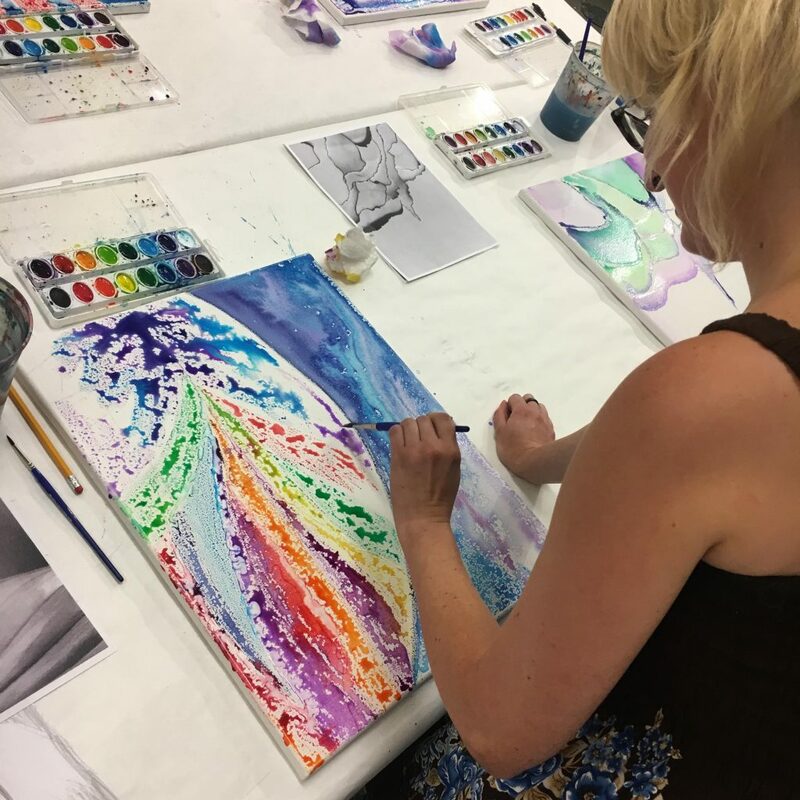 This class is all about having fun with a variety of art mediums and bringing them all together to create unique pieces of art. All photos will be provided by instructor.